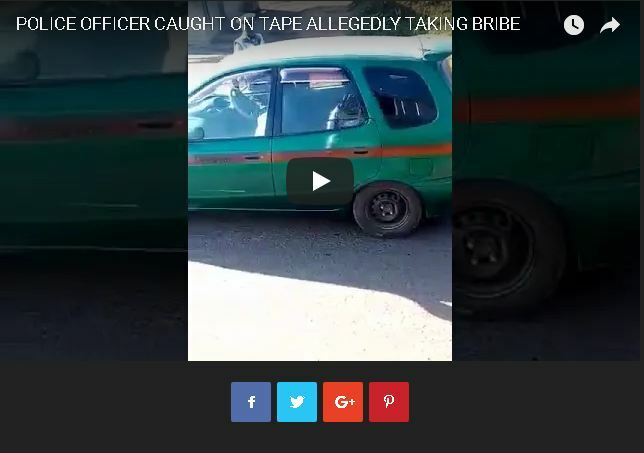 It seems issues of police officers being involved in bribe activities is not only in the motherland Malawi as proved by the video clip that has surfaced online revealing a Zambian law enforcer accepting bribe from a motorist. According to ZambianObserver, the date at which the video was captured is unknown only that people of Zambia are just irked with their law enforcer’s behaviors. In October last year, a video clip surfaced on Malawi’s social media in which three Malawi police officers were seen receiving money from a person and sharing it among themselves as a bribe. Malawi’s social media reacted and reports later indicated that the alleged officers were discovered and they were taken for discipline. This recent video clip is a clear indication that most of African police officers accept bribes which is likely caused due to low salaries and etc.